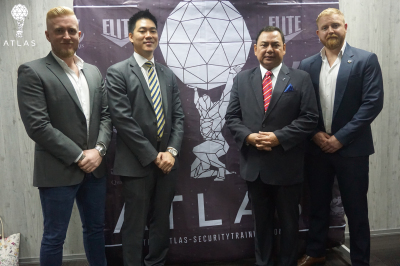 Atlas Security Training announced today that it has launched Malaysia’s first UK-accredited security training academy in the country. The academy will bring togetherthe world-class standards of British education with Malaysian local knowledge, to offer high-quality instruction in close protection services, security, health & safety and first aid. Atlas will run the first local training platform and training modules will be delivered by former servicemen of the British Army’s Special Forces. Day 4 of our UK-accredited Level 3 Close Protection course focuses on individual and vehicle searching. Searching is a routine for close protection officers operating in all environments whether low or high risk. It keeps an area sanitised, ensures safety for the CPO and most importantly, keeps the principal alive. 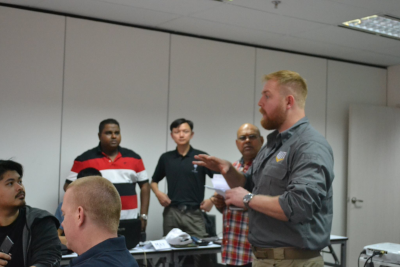 Day 3 of our SIA Level 3 Close Protection Course conducted in Kuala Lumpur. Venue reconnaissance is something which is important for any protection mission which is being conducted, no matter where you are in the world. Here our candidates demonstrate the precautionary measures they have taken as well as describe any security gaps they have identified and filled.